Dudes are notoriously tough to shop for, aren't they? So, I went ahead and did the grunt work so you don't have to ride the struggle bus this holiday season looking for the perfect gift for the special guys in your life. 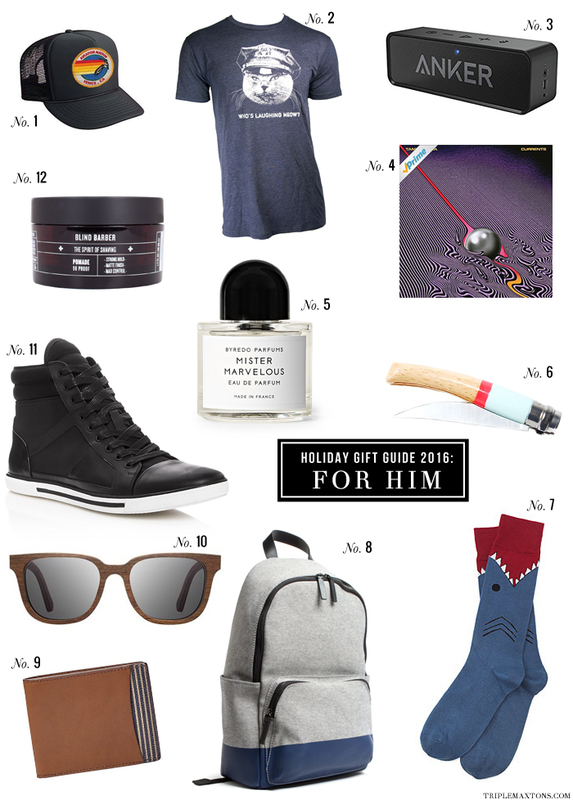 Have to say, I'm pretty stoked about this gift guide for the gents this year...especially those shark socks, haha!